Today it is officially one month since I became vegan, and it hasn’t felt like a chore at all! I’ve come to the conclusion that it’s not the food itself that I miss so much (even cheese, shockingly enough), it’s more the social situations that make me miss being able to tuck in with reckless abandon. Besides broadcasting my decision on here, I generally try to keep a bit quiet, as (a) I’ve heard meat-eaters complain about self-righteous vegans always trying to inflict their life choices on others, and (b) I’ve encountered aggressive responses to vegetarianism before and don’t want to get into my reasons with people who are trying to catch me out. But maybe I’m being needlessly cautious – I have told my students, because they frequently bring chocolates and packets of biscuits to share in class and I couldn’t just keep saying “No thanks” without an explanation, and their responses have been curious and enthusiastic. But saying no to those biscuits is a trial. 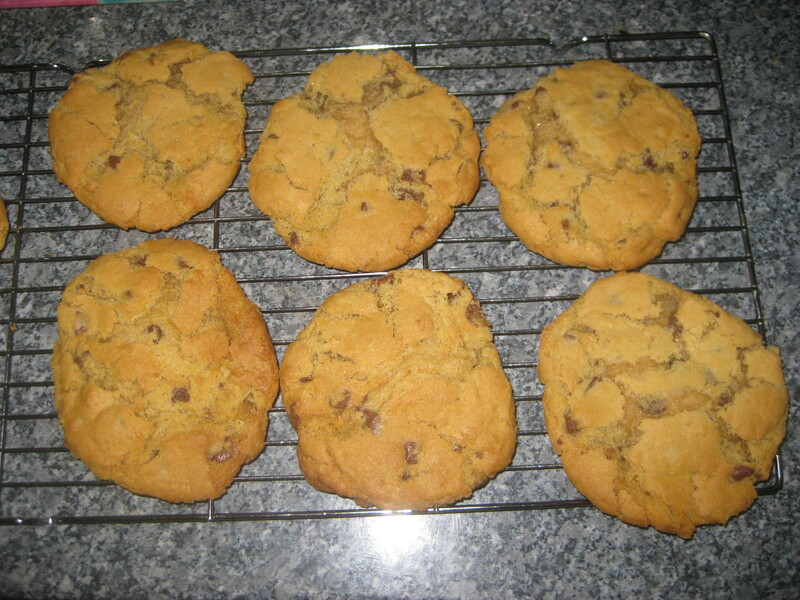 It is made somewhat easier when I have glorious home-baked treats like this up my sleeve. 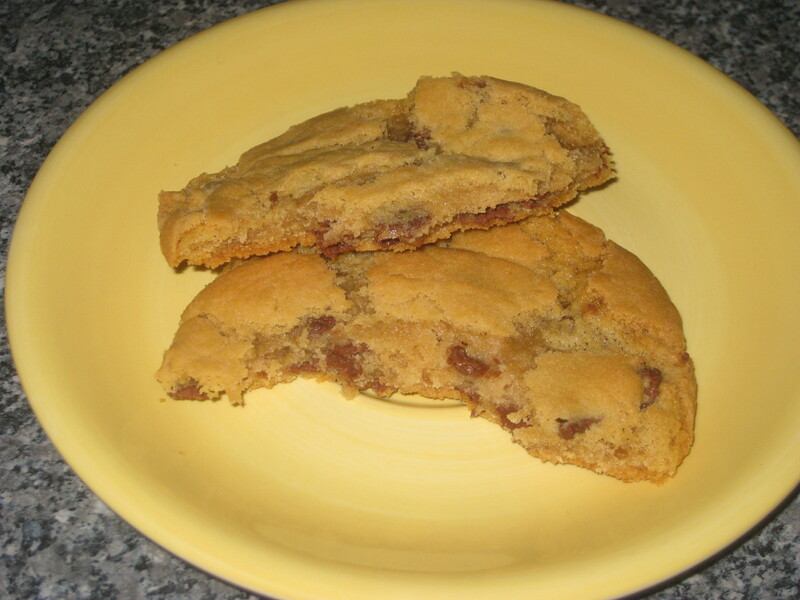 I am going to go ahead and call these the best cookies I’ve ever eaten, never mind made. They are that good. 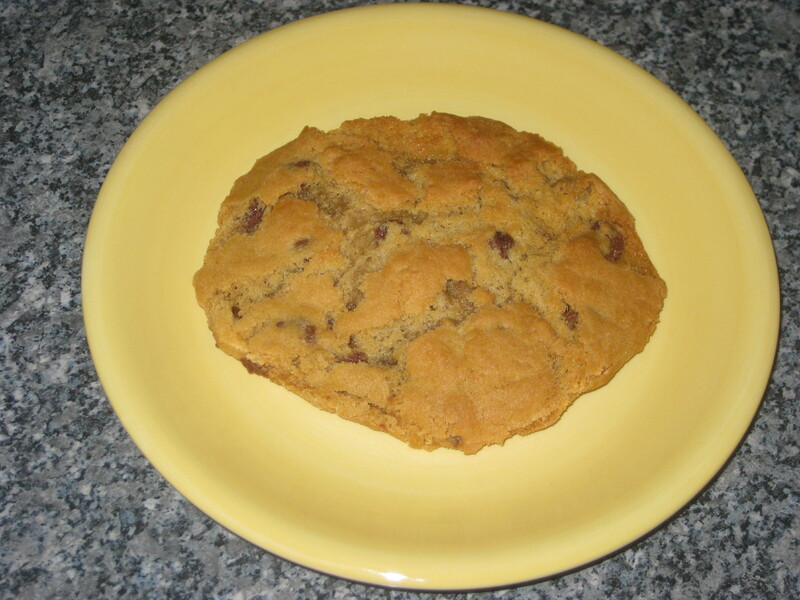 Giant cookies are always brilliant anyway, but these ones achieve the ultimate texture by balancing the crispness and chewiness perfectly. 1. 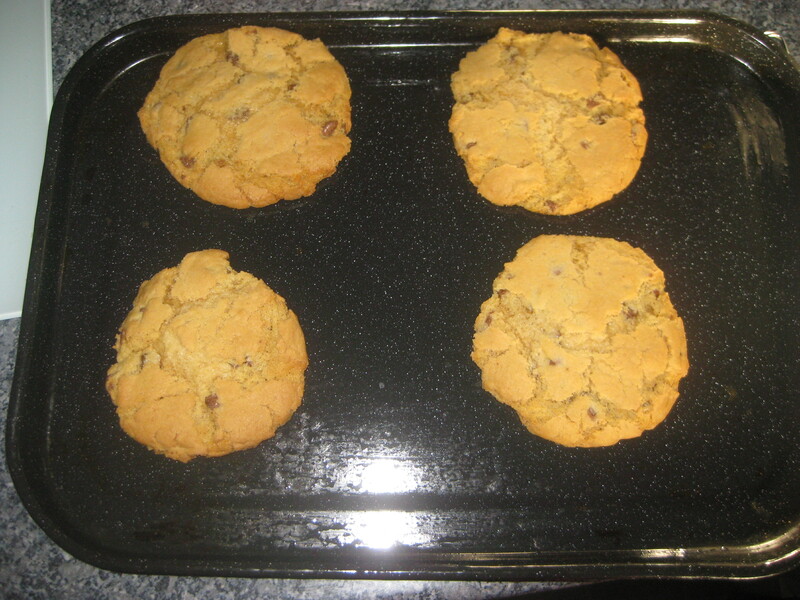 Preheat the oven to 180C and grease a baking tray. 2. 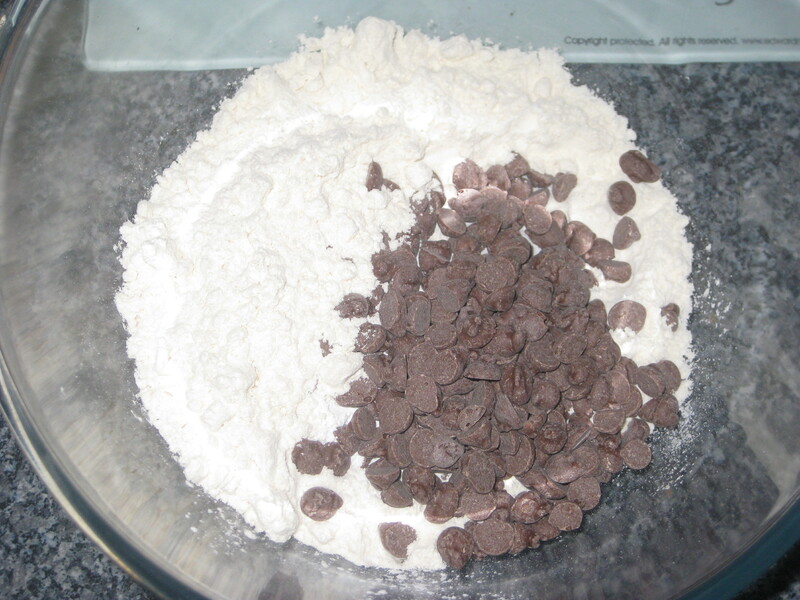 In a large bowl, mix together the flour, baking powder, bicarb and chocolate. 3. In a separate bowl, cream the marg, fat, both sugars and vanilla. 4. 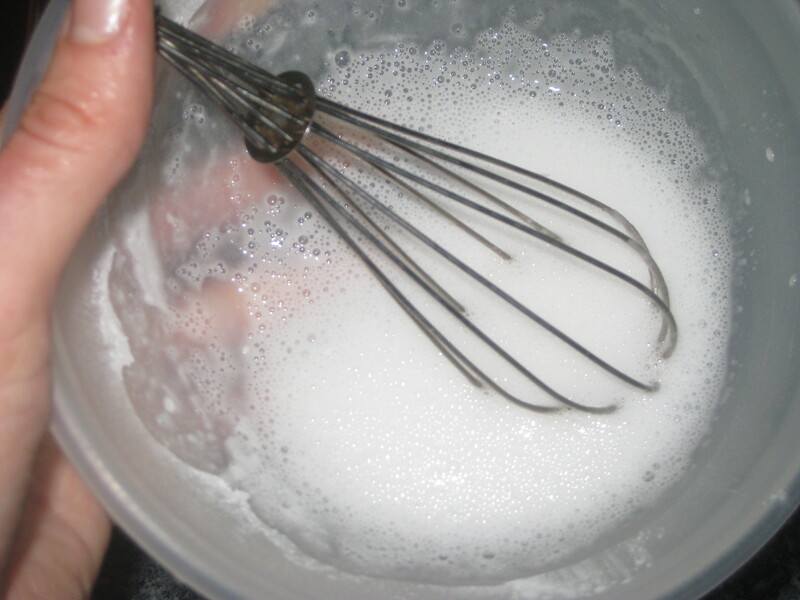 And in yet another bowl, whisk together the egg replacer and water until frothy. 5. 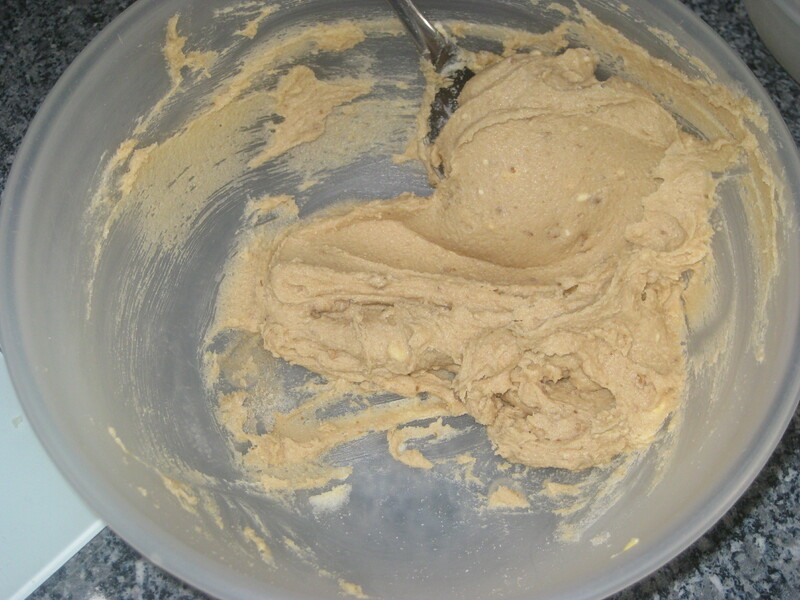 Pour the frothy liquid into the flour, add the marg mixture and mix together with a spoon – you may need to bring it together with your hands too. 6. 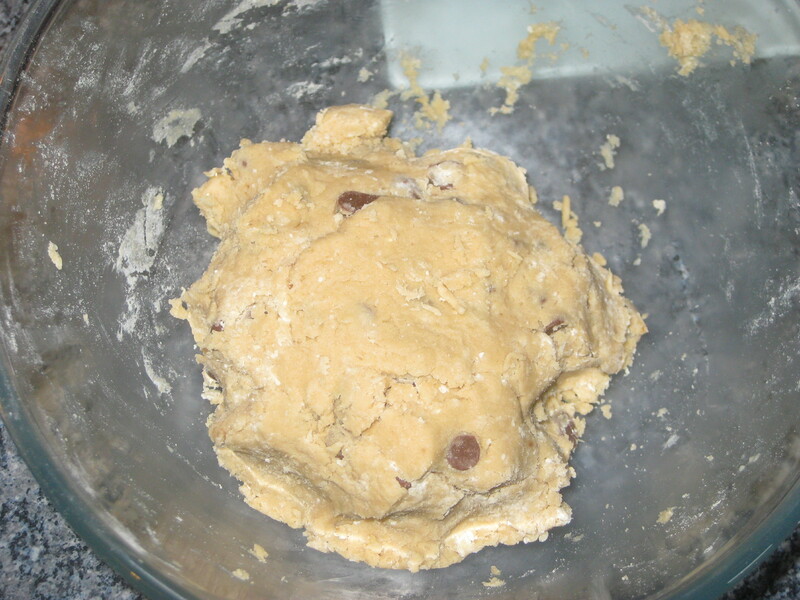 Break off large chunks of the dough and roll it into balls. Place them on the prepared tray, leaving plenty of space for spreading. 7. Bake for 15 minutes until golden brown, but still soft. 8. Whack the tray sharply on the kitchen top, then stand the tray on a wire rack for a few minutes. 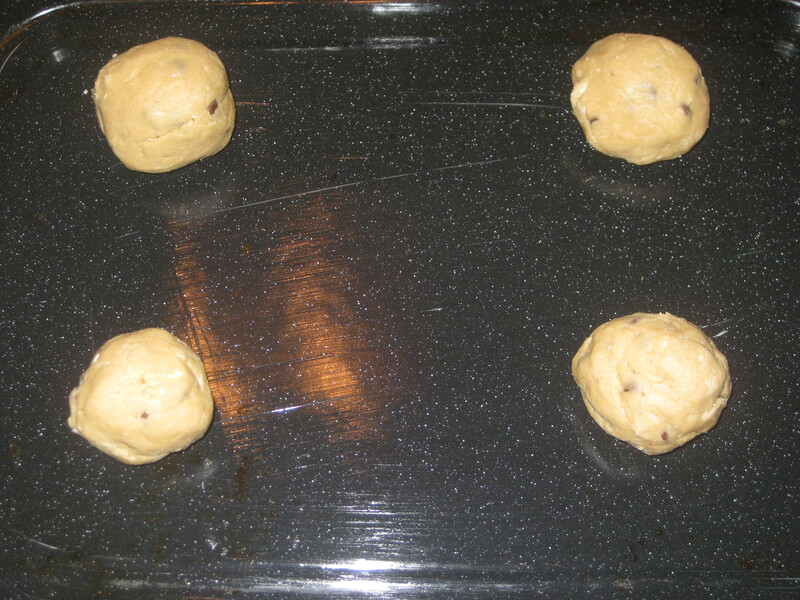 Then carefully remove the cookies from the tray and leave on the rack to cool completely. 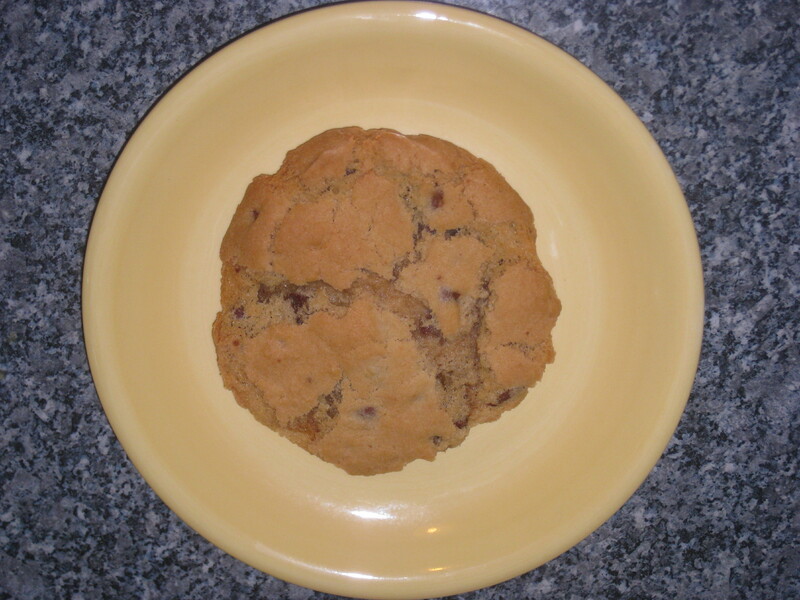 This entry was posted in Vegan Recipes and tagged chocolate chip cookies, giant cookies, vegan baking, vegan cookies. Bookmark the permalink. 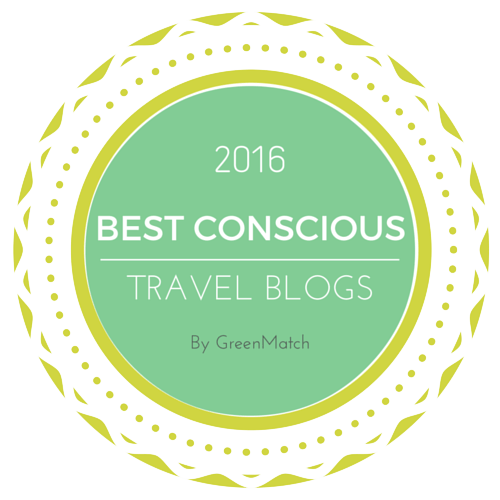 Thanks Celeste! I’ve been vegetarian for almost 19 years and already ate a lot of unintentionally vegan dishes, so I think that’s made the transition a lot easier. I didn’t know that the world of vegan baking even existed before, but that’s helping a lot too! No looking back, I hope! I hope it continues to be this easy!